Target audience: Nonprofits, cause organizations, foundations, NGOs, social enterprises, businesses, educators, journalists, general public. 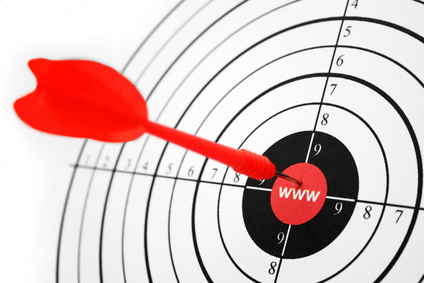 Atitle tag is the main title of a webpage that search engines index. It’s visible in the title bar of a browser and in the headings of search engine results, as shown below. 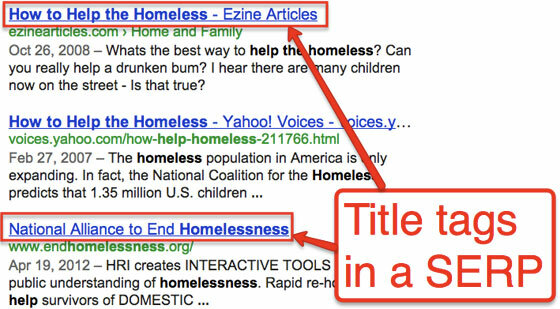 An effective title tag is one that encourages people to click on it, and also contains keywords you’d like to get found for in a search engine results page (SERP). WordPress makes editing title tags very easy – especially with plugins like All-in-One SEO plugin and themes like Headway. Generally speaking, the title of the post or page will automatically generate a title tag that can be tweaked further in the post options, as shown below. 1Develop an understanding of how your core supporters talk about you. How do they search for information about your cause? What words do they consistently use in these searches? What specific burning questions are common among your supporters? Creating content that answers these queries will help you get found more often by the same type of people who already love what you do. 2Enter the keywords you’ve settled upon in Google, and notice what Google suggests as you type, as shown below. Write your title with these words – in the same order they appear.